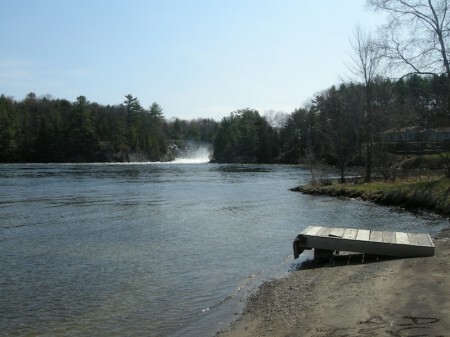 Muskoka Falls is a village southeast of Bracebridge just a couple of minutes east off Highway 11. If you need a break from the Raffi and the kids need a chance to do more than just shake shake shake their sillies out, the small beach strip is a good spot – there is swimming, sand, a couple of picnic tables, and the dull roar of the falls in the air – all in an area small enough to be able to keep an eye on the kids while still relaxing. If you’re driving from the north, take the second Muskoka Falls/Bracebridge exit (first if you’re driving from the south), turn right, and then take your first left. Don’t be tempted by the signs pointing to a Subway, a McDonald’s and a Harvey’s just a few kilometres away – that’s the sneaky back route that Bracebridge uses to get you on a long, winding trip that often plunks you down not in the fast food drive-through of your choosing, but right into its downtown instead. Muskoka Falls was one of the first stops on the Ferguson Road, an old gravel precursor to Highway 11 that was built section by section between 1858 and 1927. The site of free government land grants to encourage settlement of the Ontario backcountry, Muskoka Falls was intended to be an important agricultural spot but crap soils meant that it never became one. Lumbering and hydro followed – particularly as sections of Highway 11 were connected and paved – but by and large the area become reforested and overgrown. Today it’s a tiny village with an elementary school, a boat launch and a small public beach facing Muskoka Falls. The village has a church, Muskoka Falls United Church, and there is a cemetery with some burials from as far back as the 1800s. There’s a Lafarge Cement plant, the Skyway Motel, and small private airfield just west of the village site, off Highway 11. If you have photos of or info on Muskoka Falls let me know, post below or email me at info (at) highway11 (dot) ca. 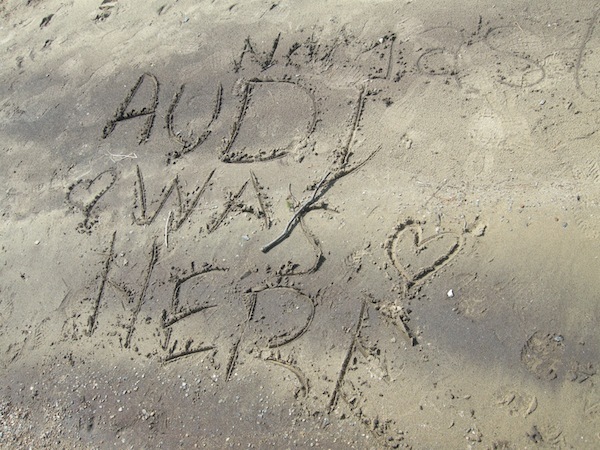 This entry was posted in Muskoka and tagged beach, boating, hydro by Highway11.ca Editor. Bookmark the permalink. This seems to be a forgotten blog just as the small village of Muskoka Falls has been forgotten. It was to be a town and was mapped out as one in 1866. 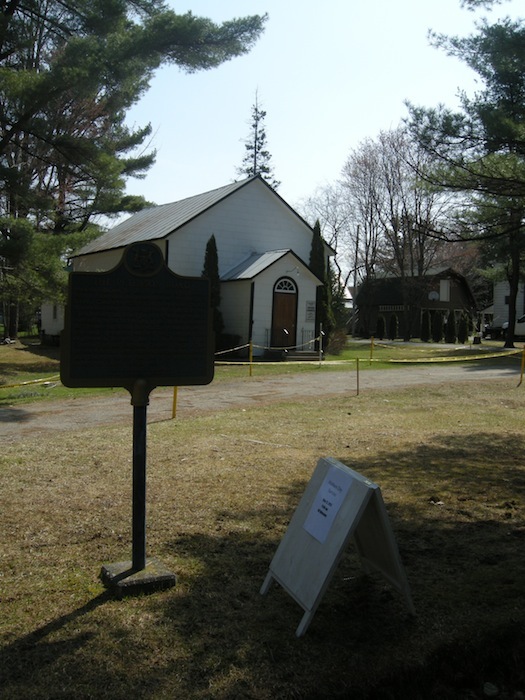 I blogged here on Dec 2017 that iwas writing the history of MUSKOKA FALLS: THE VILLAGE 1859-2018. It is now completed and ready for sale. stottprince@gmail.com I will soon be setting up my own blog. It was and still is vaery interesting gathering information and reconnecting with some people I have not seen in many years. Carrie seems to have gone away, but please contact me if you will. My father built the store there.. I have written to book about Muskoka Falls stootprince@gmail.com love to hear from you. I have tried to contact Schanbels before the book was published but was not able to. Your family is in it,of course. I will have to dig through my old albums but my great uncle Art Somers he had a big old house on the hill opposite the falls before the town bought him out to put in the highway. I was there a few times with my mom Madeline, if you have any info on my family that might still be in the area I would be interested.